In a closely fought contest at the Perth Concert Hall, adjudicators Frank Renton and Steve Sykes placed Whitburn ahead of the rest following a stunning performance of the band’s own choice selection; ‘Rococo Variations’ by Edward Gregson. 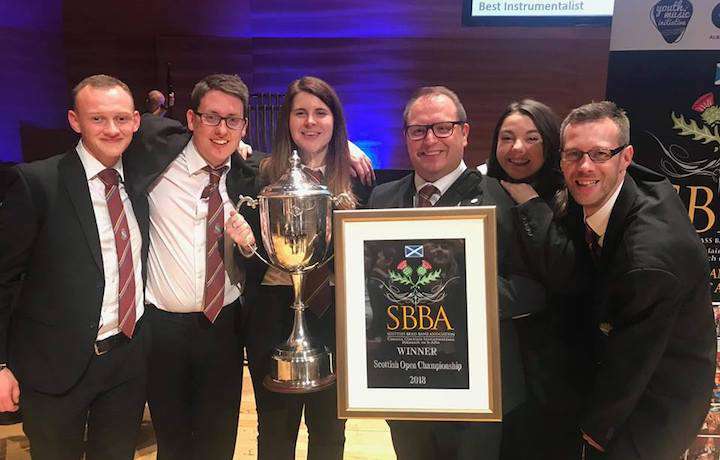 The win was particularly significant for the band and Musical Director Professor Childs, as by successfully retaining the title, Whitburn have now won five consecutive Scottish Opens. The runners-up, Co-operative Funeral care narrowly missed out by just one point, but had the consolation of euphonium player, Chris Flynn picking up the best soloist award. Wantage Silver, under Paul Holland’s direction made up the final podium placing.